"Teresa was very helpful in every way. 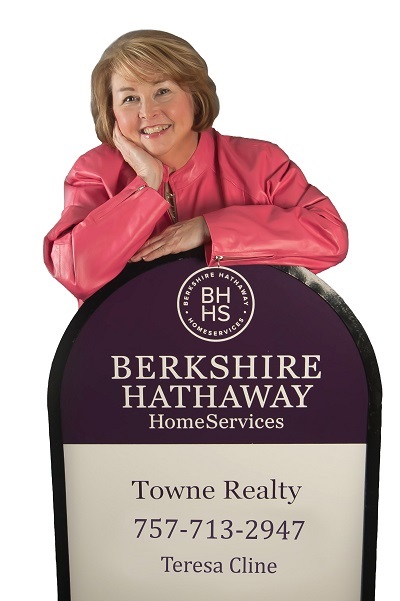 She was very friendly and I wouldn't hesitate to recommend her to anyone looking for an agent." "We highly recommend your salesperson Teresa Cline. Thank you. As an Associate Broker, she treated us with patience, concern and a "we can do this" attitude that assured us of a successful sale of our property in Virginia! She worked diligently, with great perseverance until she found a buyer and a good price for all involved. She exhibited integrity and honesty throughout the process. Great Lady!!!" "We were a tough client. Our schedules made it difficult, but Teresa made time and even showed houses while she was sick. She worked late and helped us make great decisions!"